New members who sign up with our team should do this agenda first to get up to speed on our team process. First-understand our project. The project page on the public site is a summary of the project. 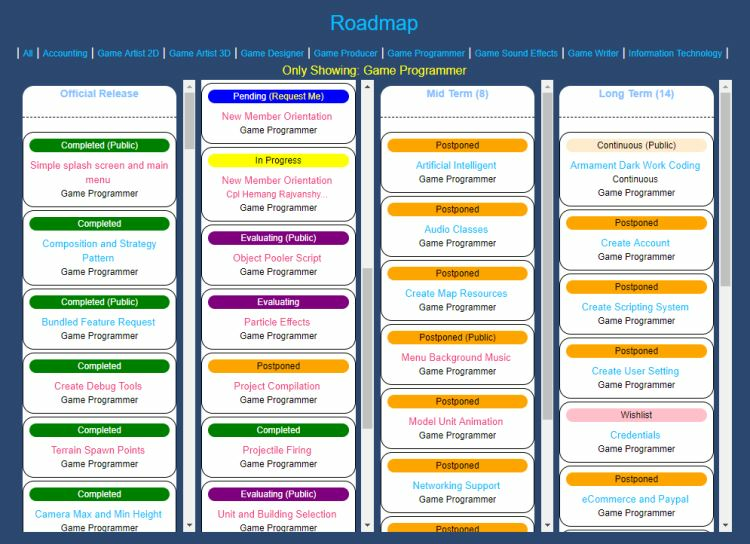 For more in-depth information our Game Design Document (GDD) details the entire project. Second-it is important for any design or art work follows our Art Direction. Third-we have a program that has been dubbed "Automation System" which handles a lot of our day to day stuff. It is important to know that when new content (like models, textures, and audio files) is marked as "IsGameable", the automation system imports them into Unity's main branch in our source control Team Foundation Server automatically from the site. Finally-based on the primary role you are in, this content management system is designed to allow you to work on whatever role item you wish even if its not in your primary role you selected. Look below for that role and what details go with it as far as our workflows go. As of right now all assets will be uploaded to the site and set to "IsGameable". Most of the work here will be in the form of wiki pages that we will later import into the game. All software we use should be listed on this page for you to download and install what you need. Agendas are milestone we work on to complete tasks that have been scheduled for the team. 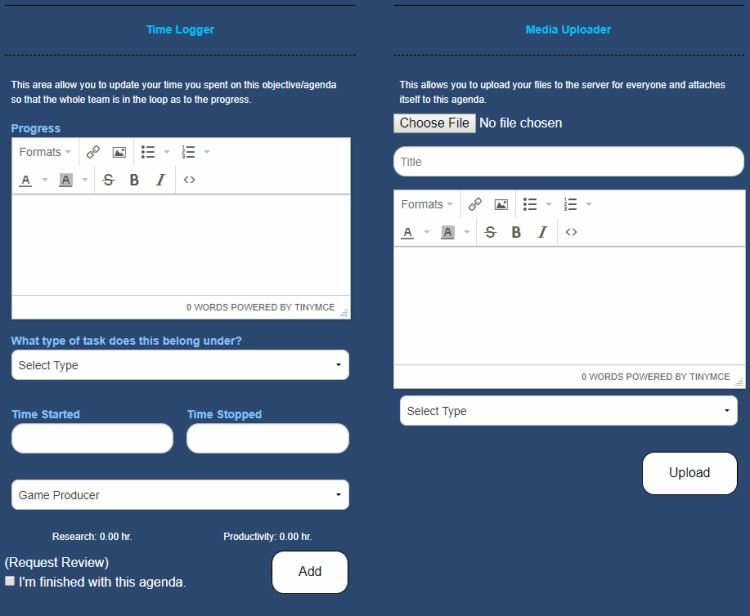 You will need to insert your time and notes on the task you completed on the agenda in the "Time Logging" area and then any media that is not script code will need to be uploaded to the "Media Uploader" area. These areas show up once you are assign an agenda to complete. In case you where given this agenda to accept going forward you will need to look at the road map and select the title of an agenda that is listed as "Pending" in blue.